A while back, Bek told me about these new cycling sunglasses and asked me to try ’em. I have my old pair that I’m attached to, so I wasn’t too excited. Got to say I put these through some tough tests. Even gave them to my wife and asked her to tear ’em up. They have taken a beating but still look like they just came out of the box. Trails around our home have some steep hills. Taking one of these trails and not expecting a bend with slick rock, I took a little spill. The sunglasses skidded off on the gravel, but showed no scratch or damage at all. Actually I was surprised they came off, as they have stayed put through some good workouts. They fit well over my ears and have a pad on the nose piece. They are comfortable. I really didn’t want to like these. CHECK OUT THE NOSE PAD – REALLY COMFORTABLE. The frame is what they call “Grilamid TR-90” which is a nylon material. They are durable, and I have put them through the paces. The company claims they are light, which is true. The lenses are scratch-resistant and shatterproof with UVA/UVB protection. The mirror type finish does reduce the glare as claimed. I have given these glasses enough rough treatment they should have shown scratches or nicks. They look like new. The manufacturer gives a lifetime warranty against defects. Overall, they have lived up to claims. 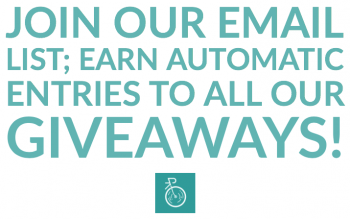 Read Also >> Win a Lezyne Gauge Drive HP! 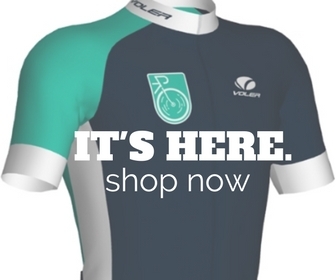 Enter the SLO Cyclist's Giveaway! These are very comfortable and have stood up to my treatment. They come in a sunglass bag that doubles as a lense cleaner. A handy idea. My wife and others say they look good and are the latest style. The white forward frame isn’t my idea of fashion though. The blue arms are fine, but I’m not nuts about white. But everyone, and I’ve asked all friends and family, say they look good and are the style. While I’m riding, I don’t care much, but just out and about – not crazy for the color. The color they sent me is ‘Frost/Powder Blue’. I started out wanting to hate these things but instead, I am sold. They are good. So I was unreasonably hard on these sunglasses and they sold me on their own, Find a pair that suites your style and go for it.